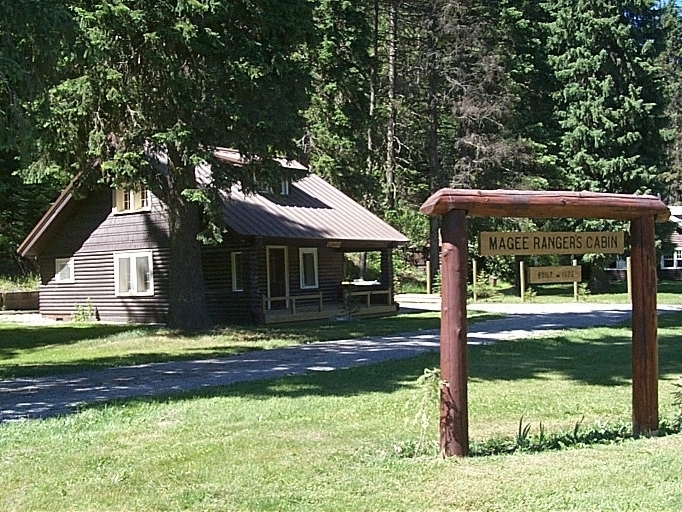 Located in Pritchard, Idaho, on the little North Fork of the Coeur d’Alene River, the historic Magee Ranger Station was a hub of activity throughout the twentieth century. Utilized as a homestead, Forest Service ranger station, work camp for the Civilian Conservation Corps (CCC), and again during World War II as an emergency landing strip, the area has a rich and complex history. 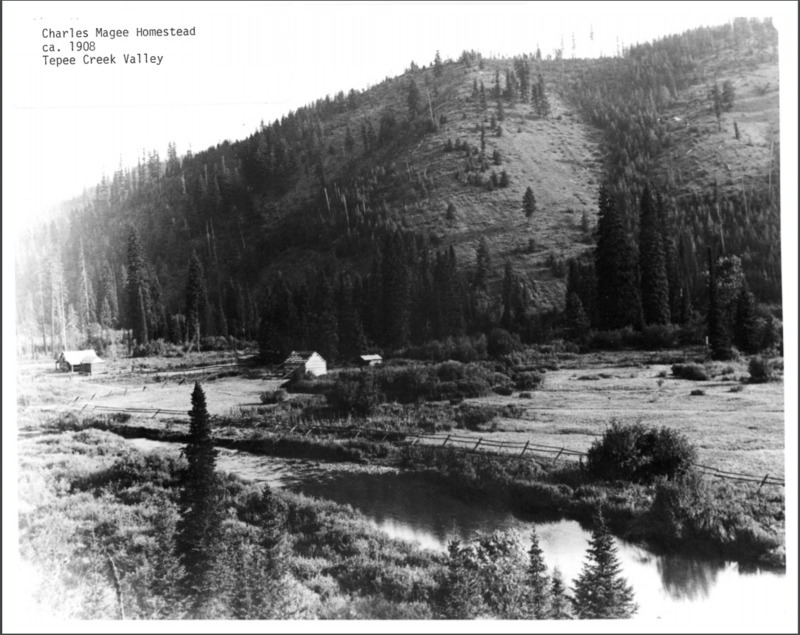 In September 1905, Charles Magee built a homestead on the Trail Creek-Tepee Creek confluence - the first recorded non-Indian settlement of the area, . He constructed a small cabin and a couple outbuildings which may have been a woodshed, stable, and tack barn. 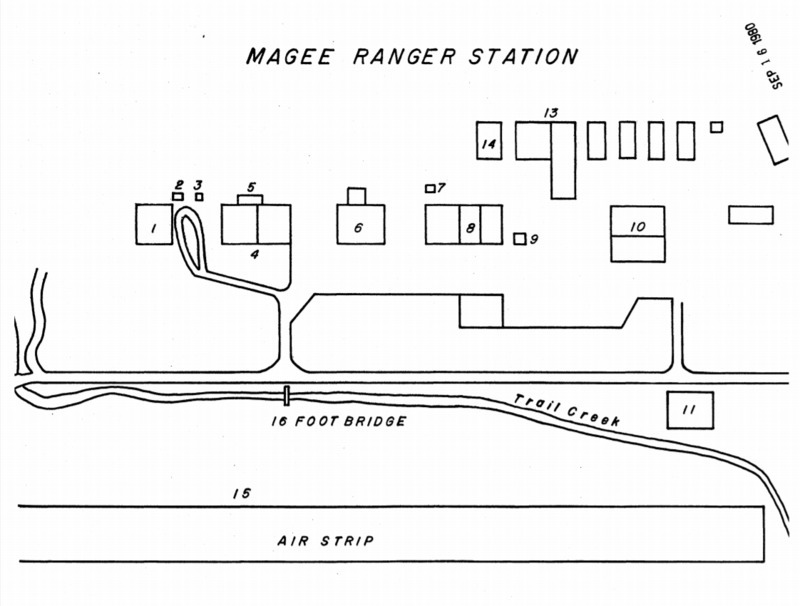 In 1908, the Secretary of Agriculture appropriated a portion of Magee’s homestead as a Forest Service administrative site, calling it the Magee Ranger Station. He approved the Forest Service station in the area with the intent of localizing management resources in the remote North Fork of the Coeur d’ Alene River. District ranger Howard Drake and his men added the first official administrative building in 1908 with Charles Magee, followed by later headquarters in 1915 and 1922. Forest Service personnel then used the station on a seasonal basis from 1908 to 1973 for road construction, fire suppression, trail maintenance, and logging. After 1973, the Forest Service assimilated the Magee Ranger District into the Wallace and Fernan districts and the station was decommissioned. Eight years later in 1981, the Magee Ranger Station became listed on the National Register for Historic Places in Shoshone County. 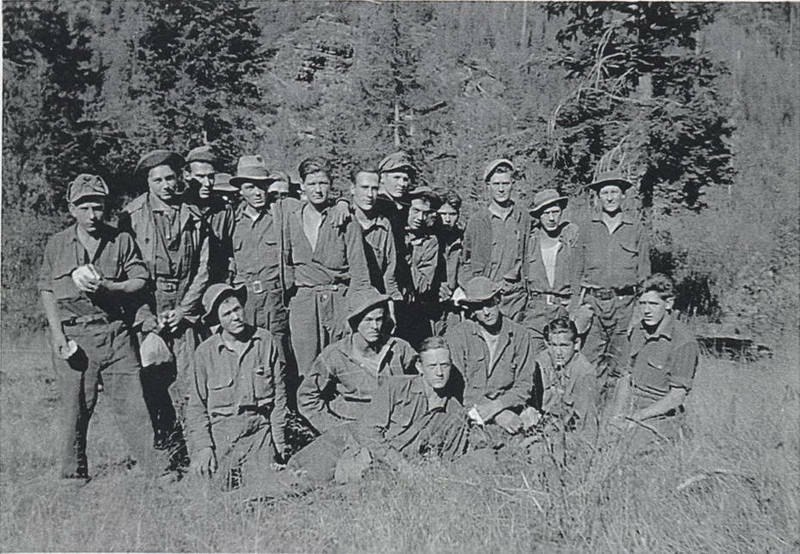 In addition to Forest Service activities, the CCC established a personnel base camp and work Camp F-134 in May 1935 as part of President Franklin D. Roosevelt’s New Deal programs to employ young men across the country for public works projects. 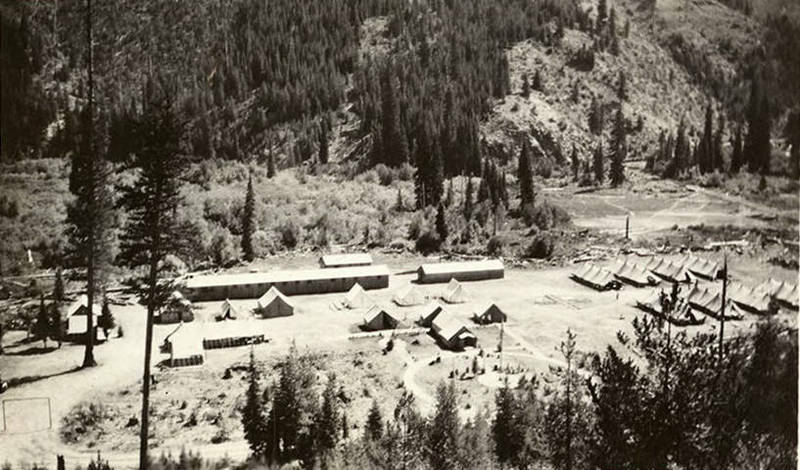 At its peak, the camp housed 400 men in Company 544 which constructed roads, maintained trails, and eradicated white-pine blister rust, a fungus disease that eradicated much of the white pine populations in Idaho within 70 years of its introduction in 1910. In the 1940s after the CCC program ended and at the onset of U.S. participation in World War II, the Army Corps of Engineers constructed an emergency landing field for fighter aircraft between 1942 and 1943. Locals reported that fighter aircraft never visited the landing strip during the war. In addition to the gravel airstrip, military personnel also built a small bunkhouse near the runway. Today, the airstrip can still be seen, while the bunkhouse is no longer standing. Today, the Historic Magee Ranger Station and the surrounding area is a prime location for recreation and tourism. Locals and residents from across the Pacific Northwest come to hike, camp, ride horses, and float the river during the summer. The Magee Station ranger’s cabin is open to public rental during summer months and the other structures that remain are open to viewing for those interested in the longstanding and rich history associated with the area. Nate Kimball, University of Idaho, “Magee Historic Ranger Station,” Intermountain Histories, accessed April 19, 2019, https://www.intermountainhistories.org/items/show/116.